"On this day in 1967, Major Robert Lawrence Jr. became the first African-American to be selected to serve as an astronaut. At that time the United States was developing the Manned Orbiting Laboratory (MOL) Program; effectively a reconnaissance satellite with a crew of two. The MOL astronaut corps was selected by the Department of Defense and was almost completely separate from the NASA astronaut corps. Major Lawrence was not only an Air Force instructor pilot, but also earned a Ph.D. in chemistry from the Ohio State University. 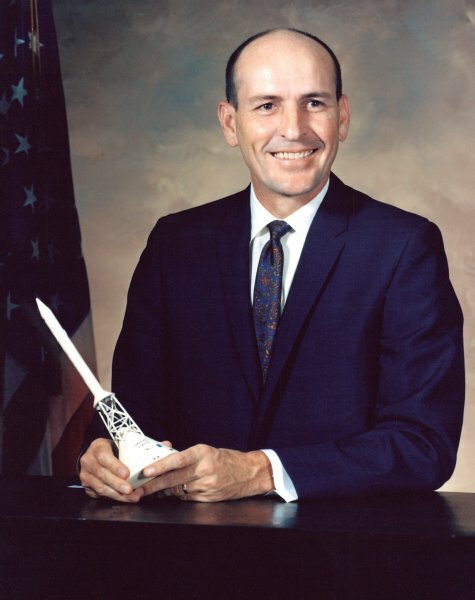 During the same month that he completed the U.S. Air Force Test Pilot School he was selected in the third group of MOL astronauts. Tragically, Lawrence's career was cut short when the F-104 Starfighter he was flying in crashed on landing on December 8, 1967, at Edwards Air Force Base - less than 6 months after he'd been selected for the MOL program. 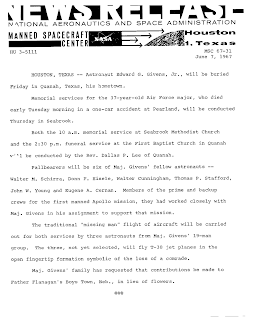 In 1997, at the request of the Astronaut Memorial Foundation, the Air Force reviewed Lawrence's records and designated him as an astronaut. On the 30th anniversary of his death, Lawrence's name was added to the Space Mirror Memorial at Kennedy Space Center in Florida." 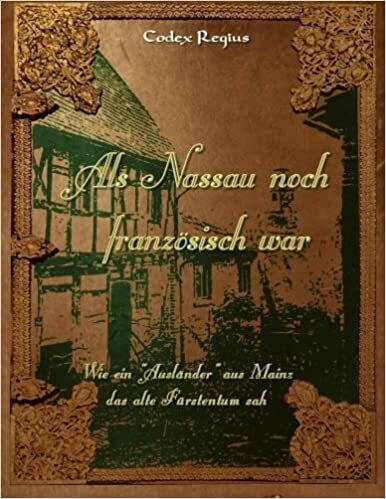 Hier ist nun auch die deutsche Ausgabe unserer erweiterten Buchvorschau, bei der die Standbilder der früheren Version durch originale Filmszenen ersetzt sind. Viel Vergnügen! 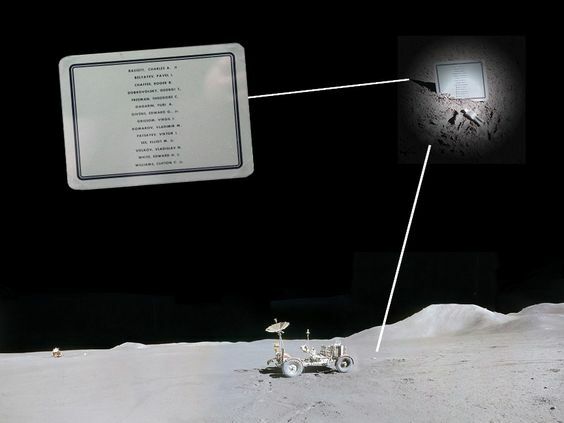 My panoramic view of the Fallen Astronaut, the plaque that James Irwin, of Apollo 15, deposited on the moon to commemorate all astronauts and cosmonauts who had (knowingly) died on the way to the moon up to that date. 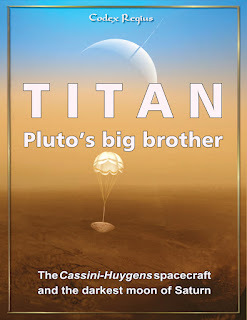 In "The Forgotten Astronauts", this image is spread across a double page. A new version, accounting for the extended edition, with the stills replaced by video footage of some Forgotten Astronauts (Elliot See, Dr. Graveline, Curtis Michel, Charles Bassett, possibly Edward Givens). The T-38 is still without NASA insignia, though. Dieses Blatt ist eine Pressemitteilung des Manned Spaceflight Centers aus dem Jahr 1967, in dem für heute vor fünfzig Jahren, Freitag, den 09. 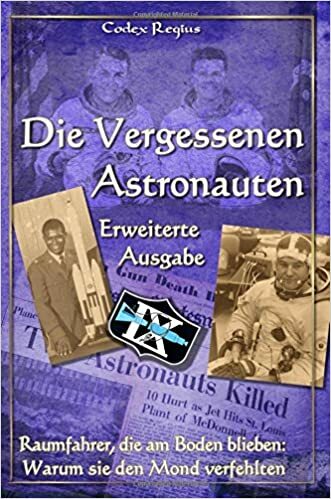 Juni, die Beerdigung des in einem Autounfall ums Leben gekommenen Edward Givens von der Astronautengruppe 3 angekündigt wird. Der Kartenausschnitt zeigt den Ort, an dem Ed Givens am 06. Juni 1967 eine scharfe Kurve übersehen hatte. Givens ist der einzige während des Apollo-Projekts verstorbene Astronaut, dem bis heute die Nennung auf dem Space Mirror im Kennedy Space Center verweigert wird. Nach Auskunft des Kennedy Space Centers hat es auch keine Gedenkzeremonie gegeben, obwohl im Jahr 2014 eine für den 50. Todestag seines Teamkollegen Ted Freeman anberaumt worden war. 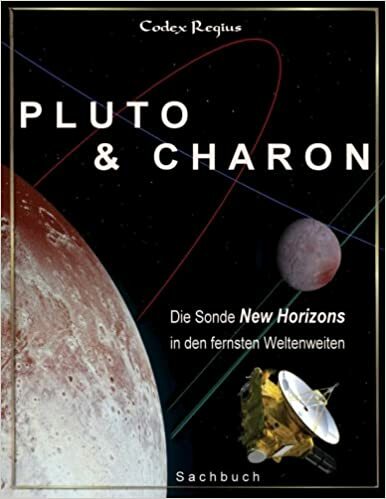 Übersetzte Auszüge dieser Pressemitteilung werden in der Erweiterten Ausgabe unseres Buchs "Die Vergessenen Astronauten" abgedruckt. 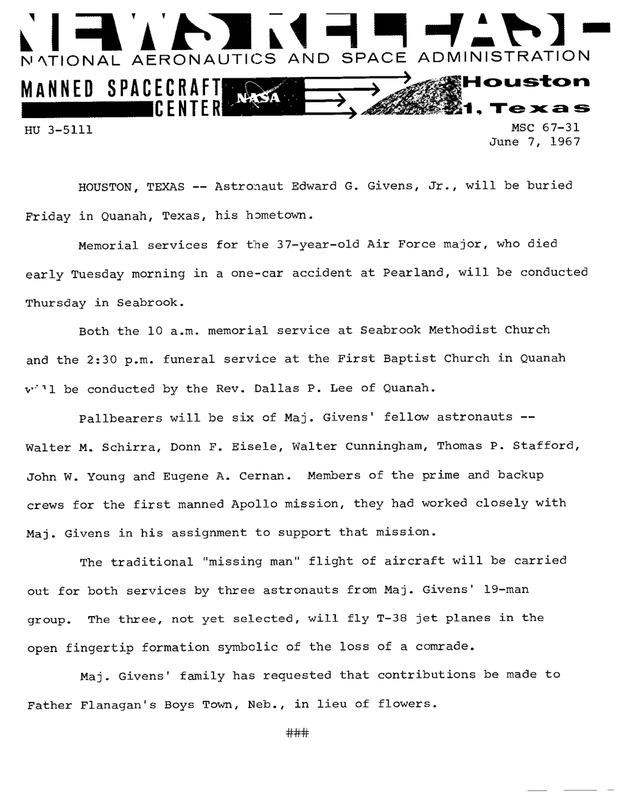 Die Kurzfassung ist heute und morgen noch kostenlos bei KDP/Amazon zu bekommen: "Die Vergessenen Astronauten"
This is a press release issued by the Manned Spaceflight Center (now Johnson Space Center) announcing the burial of Edward Givens, of NASA astronaut group 3, 50 years ago on this day, on Friday, 09 June 1967. Ed had died in a crash with his private Volkswagen Beetle on 06 June while his two passengers in the car had survived. 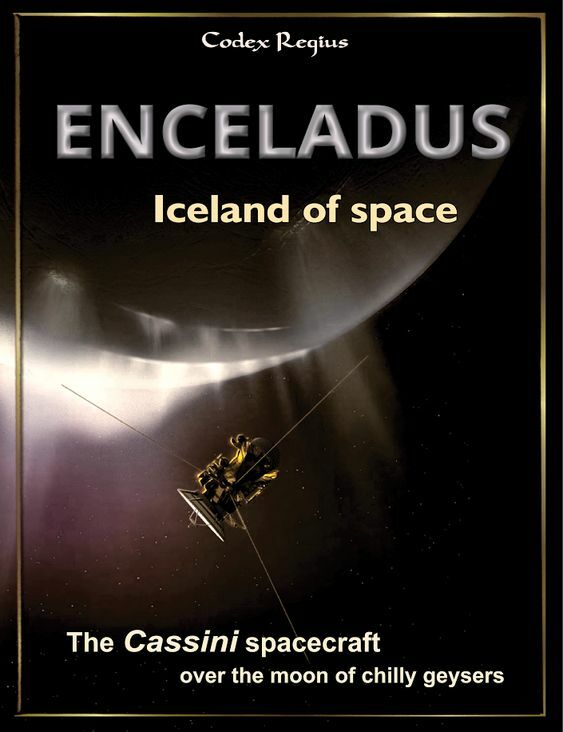 Excerpts of this press release are quoted in the forthcoming Extended Edition of our publication, "The Forgotten Astronauts". 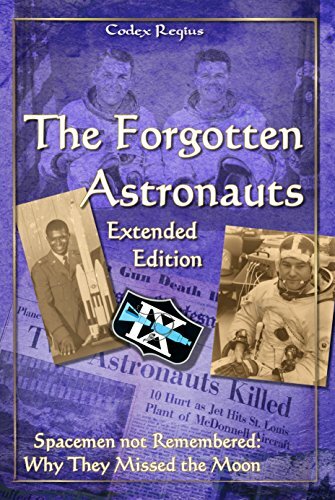 We had intended to commemorate the anniversary of Givens' death with a free giveaway of the previous, concise kindle version of "The Forgotten Astronauts", but KDP's failure to remedy an indicated internal technical defect prevented the live book from showing on Amazon's websites. That's why we start the free giveaway today, from 09 to 13 June, after which this edition will be withdrawn and replaced by the Extended Edition. The free giveaway is available here: https://www.amazon.com/dp/B072MM67LW . If you are outside the US, replace the .com suffix with that of your local Amazon distributor. Auf den Tag genau vor 50 Jahren, am 6. Juni 1967, verpasste der NASA-Astronaut Edward Givens eine scharfe Linkskurve und starb bei einem Autounfall südlich von Houston. Trotz seiner Beiträge zu den bemannten Apollo-Simulationen in der Versuchskapsel CMS-008 und seiner Einschreibung in die Hilfsmannschaft von Apollo 7 ist das Gedenken an diesen Raumfahrer besonders nebulös. Ed Givens ist der einzige vor den Mondlandungen verstorbene NASA-Astronaut, dessen Name nicht auf dem Space Mirror Memorial im Kennedy Space Center geführt wird. Und das, obwohl die Mannschaft von Apollo 15 auch ihn auf der Plakette "Fallen Astronaut" führte, die sie auf dem Mond ablegte. Givens ist auch der erste Raumfahrer der NASA, der auf seinem Grabstein explizit als "Astronaut" bezeichnet wurde, alle vorherigen Todesfälle erhielten nur ihren militärischen Rang in der Grabinschrift. 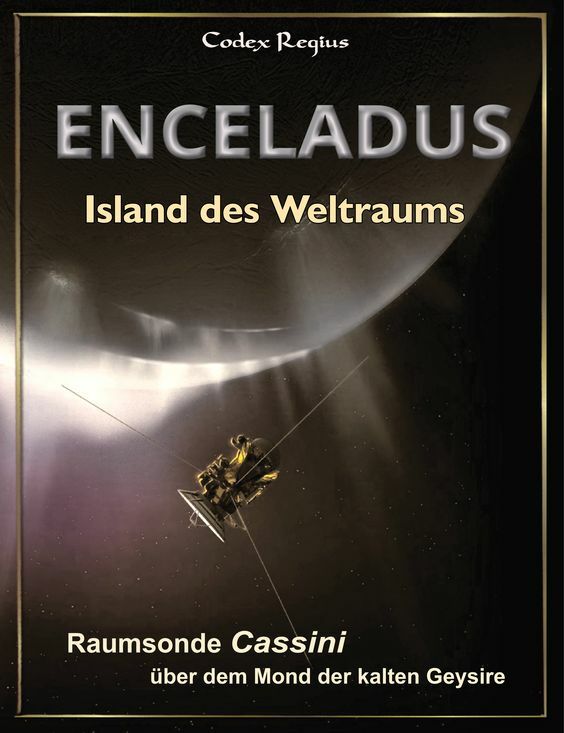 Zu Ehren dieses vergessenen Astronauten bieten wir als Gratisdownload die Kindle-Edition unserer Broschüre "Die Vergessenen Astronauten" an, die kurz gerafft die Geschichten aller gescheiterten Raumfahrer des Apollo-Zeitalters wiedergibt. 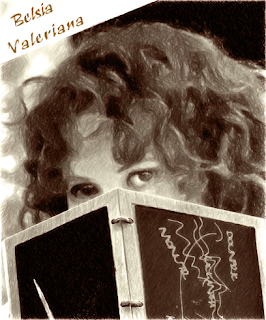 Die Gratisedition ist vom 06. bis zum 10. Juni verfügbar. Ab dem 15. Juni wird sie durch die "Erweitere Ausgabe" ersetzt, die viermal so viel Text sowie viele neue Bilder und Zitate aus zeitgenössischen Quellen enthalten wird. 50 years ago on this day - June 06, 1967 - NASA astronaut Edward Givens missed a sharp road bent and died in a car crash south of Houston. Despite his contributions to the manned tests of the CMS-008 Apollo capsule and his assignment to the support crew of Apollo 7, the memory of this spacefarer is particularly hazy. 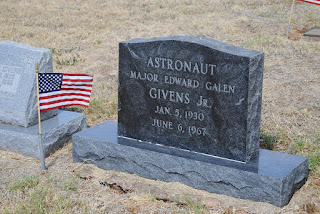 Ed Givens is the only prematurely deceased NASA astronaut of the Apollo age whose name is still deliberately excluded from the Space Mirror Memorial, despite the fact that he has been listed on the Fallen Astronaut plaque placed on the moon by the crew of Apollo 15. 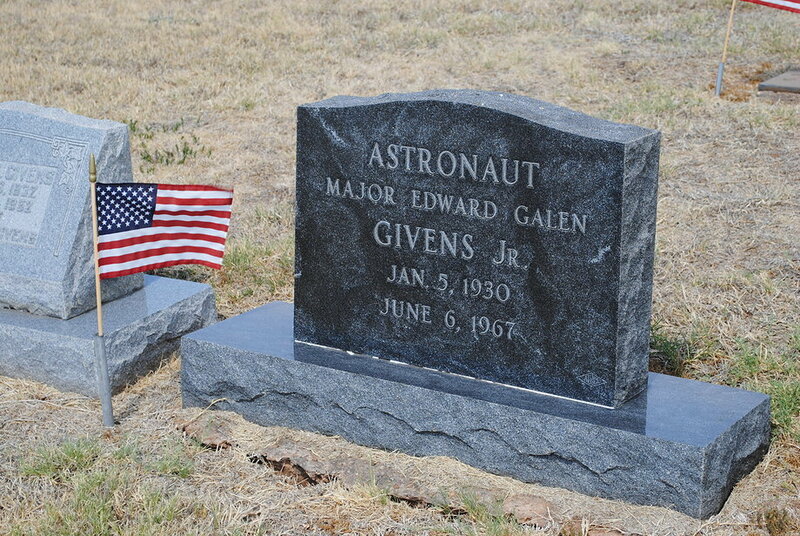 Givens is also the first member of NASA's corps who has been explicitly called "astronaut" on his gravestone. In honour of this forgotten astronaut, we offer a free ebook file of the concise edition of our booklet "The Forgotten Astronauts", that tells the tales of all NASA spacefarers who failed to go to the moon, from today, June 06, 2017, till June 10, 2017. From June 15, this edition will be withdrawn and replaced by the new Extended Edition that has four times more text, more images and more quotations from contemporary sources.